Which creates the image below. The first call to grid.rect makes a set of four squares of different shades of gray, the second call inserts smaller squares inside those larger squares. 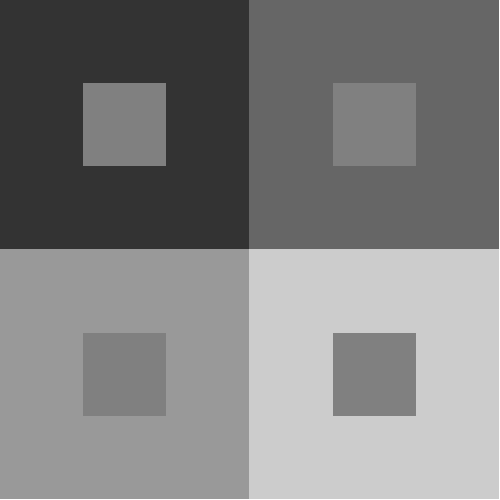 The smaller squares are all the same shade of gray – which is obvious from the R code – but they appear to be different: the one in the upper left appears lightest and the one in the lower right appears darkest. To leave a comment for the author, please follow the link and comment on their blog: Minding the Brain.